Apparently it's not just videogames that are setting a bad example for kids, superheroes must shoulder some of the blame as well. 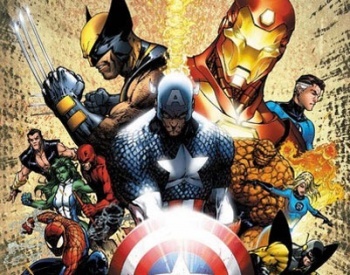 To most people, superheroes would be a pretty good bunch to emulate, but psychologist Dr. Sharon Lamb of the University of Massachusetts says that modern superheroes, especially those found in movies, aren't as good role models as you might first think. Speaking at the annual convention of the American Psychological Association, Lamb said that modern superheroes were too much like action heroes: sarcastic, aggressive, and violent. "When not in superhero costume," she said. "These men, like Iron Man, exploit women, flaunt bling and convey their manhood with high-powered guns." Lamb said that the superheroes of the past were much better role models for young people, referencing Superman and the original Green Lantern as particularly good examples, because they had been invented to fight for social justice during the rise of fascism. Lamb added that when these older heroes were out of their costumes, they were real people with real problems and vulnerabilities, and this was much better than modern heroes who she said only thought about themselves. I can't help but feel that Lamb doesn't quite get superheroes. While modern tales are certainly more violent than those of the thirties and forties, that's just the result of changing standards over the years. Similarly, the very overt moral messages of older comics would just seem mawkish and insincere now. The characters are more nuanced now, and less "pure," but the core concept - extraordinary people going out of their way to help others - remains the same.